Muse have revealed that writing for their fifth album is well underway, and that fans can expect things to get more than a little orchestral. "There is a new song in three parts, more of a symphony than a song which I've been working on sporadically for many years. As a large percentage of the composition is orchestral I've never wanted to collaborate with a string arranger as they may make it 'theirs'. "So I've been arranging the orchestral elements myself which is taking a long time due to my inexperience with large scale scoring. It should hopefully make the next album as the final three tracks." 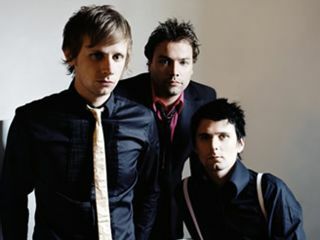 Previous Muse albums, such as 2003's Absolution and 2006's Black Holes & Revelations, have featured strings and orchestras but Bellamy was assisted in writing string parts by arrangers Audrey Riley and Mauro Pagini. "It would be nice to have the album out in the second half of next year. It is more important for us to make the best album we have made to date and if that means it comes out in 2010 then we don't mind."